The muted clanging of sheep and goat bells drifts up from the valley to where I’m standing, high in the Serra da Estrela in central Portugal. Coupled with the pure mountain air and magnificent views of rocky ridges and distant plains, it’s idyllic indeed. So lovely that I’m kicking myself for putting off exploring the Serra da Estrela for so long. Until my recent 3-day trip there, I’ve done little more than pass through the dramatic landscape on my way elsewhere. This magnificent mountain range in central Portugal is only 1 1/2 hours away from where I live and it’s spectacular. Not only is it named after the mainland’s highest peak, Star Mountain, it’s also the largest protected area in the country and Portugal’s only ski resort. Not being a fan of the cold or getting stuck on icy roads, I have no particular desire to drive up there in the winter. On a clear sunny day, however, I’ll happily go back for more. Update: I have since been snow hiking in the Serra da Estrela, which was other-worldly. My base for this trip was Penhas da Saude (Crags of Health) where the fresh mountain air was found to be beneficial for people suffering from tuberculosis. A motley collection of houses, hotels and cafés mildly mars the natural beauty of the landscape but you only need to walk a short distance to be well away from man made structures. 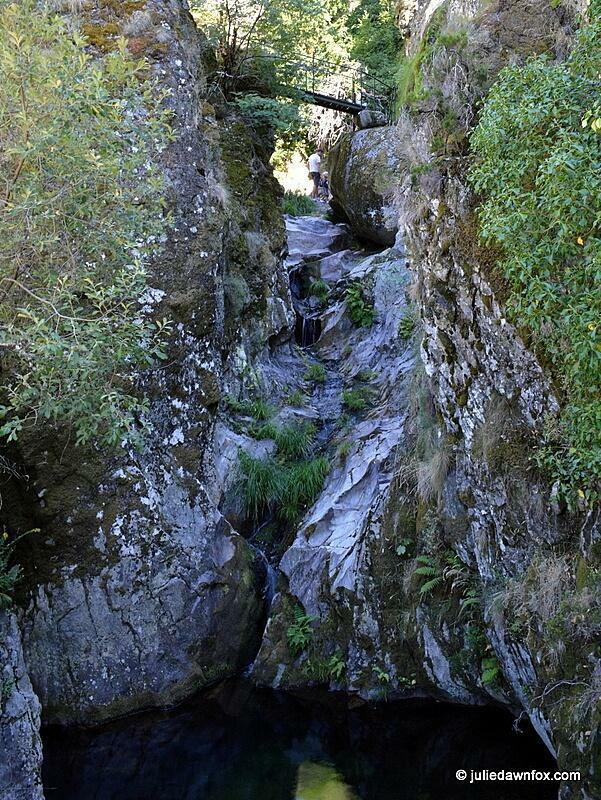 Sadly, hiking in the Serra da Estrela is still a rather hit and miss affair. 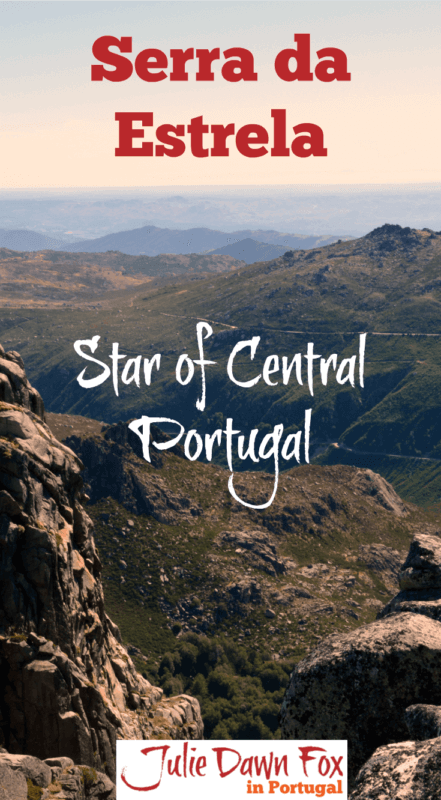 The Visit Portugal website claims that there are 375 km of marked trails but I challenge you to track them down and follow a whole one from start to finish. My friend and I set off confidently from our hotel, map in hand, intending to walk the Senda dos Pastores (Shepherd’s Path). It wasn’t long before we started to wonder how useful the route leaflet would prove to be. Unable to find a single signpost, we spotted a man filling containers at a spring water tap and asked him for directions to the reservoir. From there, we were very much on our own with no obvious track to follow. Using the fake lake and the distant road as landmarks, we picked out our own path through the low bushes and piles of boulders, heading for the ridge that was apparent both on paper and ahead of us. We must have ended up on the right path somehow because we began to notice piles of small rocks placed on top of the larger stones. These cairns are the traditional waymarkers used by shepherds and by keeping an eye out for more we gradually progressed uphill. After an hour or so, a LandRover came trundling along just ahead of us. Once we’d found and started to follow the dirt track it had used, we were on easier if somewhat surreal terrain. By this altitude, the rocks had all but disappeared and we found ourselves walking through peach-coloured clouds of vegetation towards a herd of black and brown goats. They were mooching along the ridge of the slope we’d just climbed and I was keen get around them to see the view of the other valley. The gigantic Serra da Estrela sheepdog protecting the herd had other ideas. It left its charges to bark us a warning and glared menacingly as we beat a hasty retreat, only rejoining the goats once it was satisfied that we had taken the hint. At that point, having lost sight of the walking trail, we decided to head back to the hotel rather than try to find the remainder of the circular route. Instead, we made our own circuit by heading for the tarmac via the Centro de Limpeza de Neve (Snow Clearing Centre) and walking the final 3 km along the road. Although the landscape varies considerably within the Serra da Estrela, there’s no escaping the mounds of rounded granite boulders that litter it. Much like cloud formations, only more permanent, some of these clusters resemble animals or humans. One of the most famous is the Cabeça do Velho (Old Man’s Head) on the N232 between the villages of Gouveias and Manteigas. Once you start the descent into Manteigas, however, the road meanders through mature pine forest before reaching the glacial valley in which the village sits. Having already visited the Burel factory, my intention for this visit was to explore Manteigas on foot, especially as we had a pack of colourful leaflets with a map and photos of each walk plus an overall map of nearby trails. It was only when we tried to do the Village Route that we discovered how useless they are. After checking with a local, we identified St Mary’s church and located ourselves on the trail marked on the leaflet but there were no markers in the street to indicate where we should go next. We picked a street at random and wandered around aimlessly until we stumbled across the stream. Not only did it have a path running alongside it, there were also the elusive red and yellow strips that indicated we were on the correct path. We followed the pretty track along the watercourse for a while but we simply couldn’t work out where we were on paper so we drove off in search of a waterfall. In English, this means Hell’s Well, which is a strange name for such a pretty spot. I’m sure it’s much scarier in winter when the full force of the waterfall is surging through the rocks but in summer there’s barely a trickle pouring into the pool of clear water. Just make sure you’re wearing non-slip shoes because you’ll need to negotiate some awkward steps around the rocks to get to a rickety wooden bridge to fully appreciate the waterfall. There is, in theory, another walk that incorporates Poço do Inferno but either I’m simply incompetent when it comes to using these leaflets or they just aren’t as practical as they need to be. Whatever the case, we got a bit lost, scrambled through a forest and made it back to the car in one piece. Eventually. This idyllic spot was voted one of the 7 Wonders of Portugal and I was keen to see what all the fuss was about. The icy water was a shock to the system but the setting was perfect. Read more about about Loriga and it’s lovely river beach. 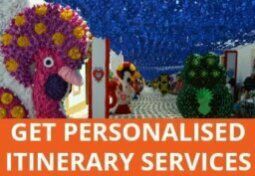 You’ll find the whole gamut of accommodation from campsites and youth hostels to luxury hotels so you should be able to find something that suits your tastes and budget. This is what a quick search of Booking.com turns up for the area. 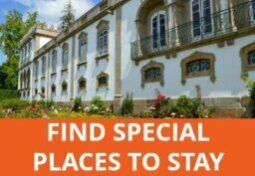 I’ve stayed at Casas das Penhas Douradas near Manteigas which I would happily recommend. It’s run by the same people responsible for reviving Burel, the traditional woollen material that’s recently become fashionable. You’ll see plenty of examples of Burel in its many colours and applications in the stylish design hotel that fits in well with its surroundings. It also has a heated indoor pool and a lovely spa. You can hire bikes and they provide free kayaks for use at the nearby lake plus information about local walks. If you’re less fussy about sympathetic architecture, the yellow and black Hotel Serra da Estrela in Penhas da Saude may look quite garish but it’s a reasonably comfortable base and the 14 euro buffet in the medieval-styled restaurant is good value for money. 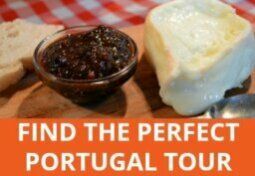 As an added bonus, I got to eat delicious Serra da Estrela cheese for breakfast and dinner! When I stayed, they were also advertising free guided walks so ask for more information if you’re interested. Public transport is limited and may be non-existent at the weekend so you’re much better off exploring with a car, if possible. 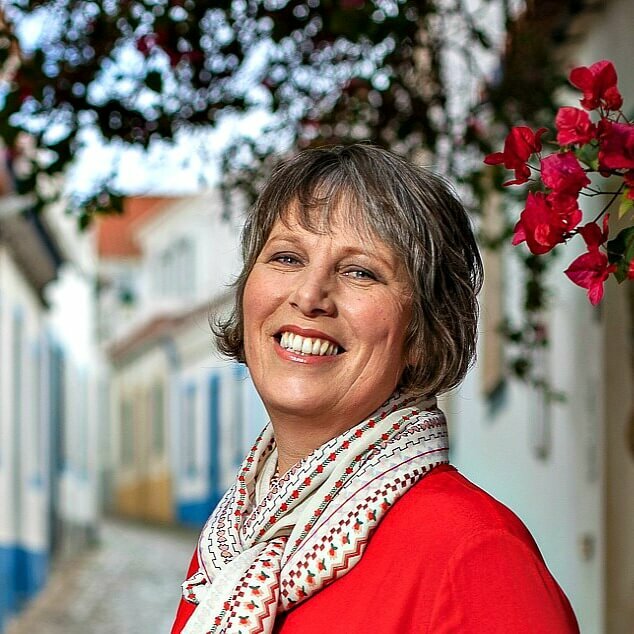 Here are my Tips For Hiring A Car In Portugal. 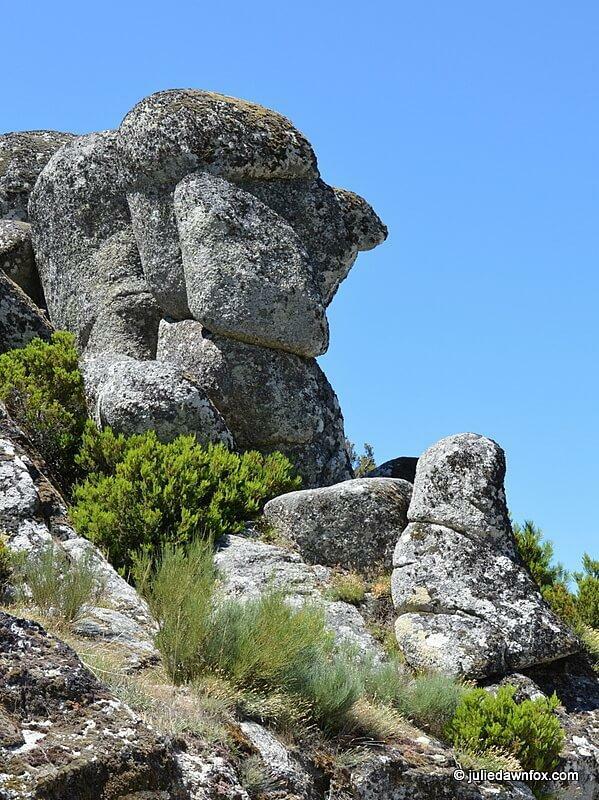 I’d like to visit Cabeca do Velho and other rock formations. I have short time to do this, and exact place is important me. Hi Julie. thank you for the information. 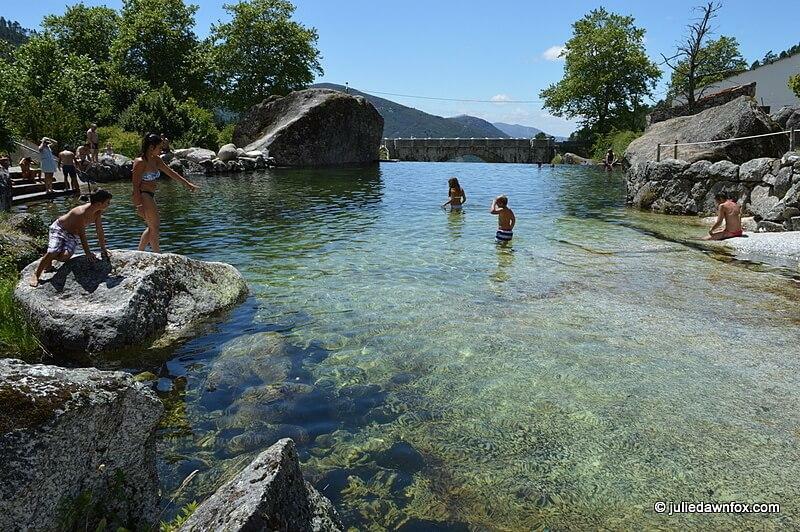 we are planing a trip to Serra da Estrela in the end of august. Have you been there in the summer?i am a bit concerned because of the heat. Hi Hagit, yes. I went in August and because of the altitude, it was pleasant, rather than sweltering. Still hot but bearable unless you plan on doing strenuous trekking. Lovely post Julie and great photos. We used to live about 80km from Serra da Estrela and would go there usually once or twice in winter to take the kids to see the snow. Hi Brid, Likewise, I’m ‘glad’ it’s not just me! Your trip sounds great, by the way. You managed to pack in quite a lot in two weeks! A beautifully descriptive piece, Julie, accompanied by wonderful photos! Most enjoyable! Thank you, Vivienne! Glad you enjoyed it. Have you been for a drive in the Serra yet? Even if you’re not up to walking far, there are plenty of viewpoints along the road and the scenery is fabulous. Hi Peter, they are the very ones I had such problems with. The pack looks fabulous and the map and leaflet really seemed promising but in practice, they fell short. I couldn’t identify the start of the walks or find signs to indicate where to go when necessary. Perhaps if you’re using them in conjunction with good GPS gadget, it might work but I found the GPS signal on my phone disappeared just when I was trying to work out where we had ended up to and establish how to get back to the car without simply retracing our steps. We tried two of the 10 walks in the pack. I got on much better with a leaflet I picked up in Loriga that described the walk in words, telling me when to turn left and right and what to look at at various points along the trail. Even though it would have been nice to have a route map, the descriptions helped me to know I was on the right track and provided interesting facts at the right times.